16th June 2018. 21:30 IST. As we were driving through the streets of Bhubaneswar, following Google Maps to our hotel, I was still confused about my feelings about finally starting B-School. Excitement mingling with anxiety, multiple thoughts were flogging my mind when I suddenly spotted a building proudly displaying the initials X I M B, illuminated in the dark. And at that moment, some divine force made me believe that it was going to be a crazy ride. 20 days hence, and I am just as excited to be here. The thirty years of legacy is still prominent in every part of our campus. There is never a dull moment at XIMB. Be it 3 in the afternoon or 4 in the morning, one can always find students at the peak of their energy levels. When we aren’t attending class or the library, we could be found outside the hostel buildings, doing our assignments coupled with cutting chai, or satisfying past-midnight hunger pangs at the night mess. Our campus might seem small at first glance, but that only ensures that we become a closed knit lot, first years, seniors and professors alike. Even in the midst of an extremely stressful and competitive environment, XIMBians are taught to build lasting relationships. Since Day-Zero, our seniors have been taking multiple efforts to help us break the ice with our own batchmates and with themselves. They have pushed us into group assignments, presentations, assigned us mentors, and organized sports tournaments. It did not just create an exciting and friendly environment in the campus, but also helped us bond with each other to a great extent. It has only been twenty days and there is no other place I would rather be. 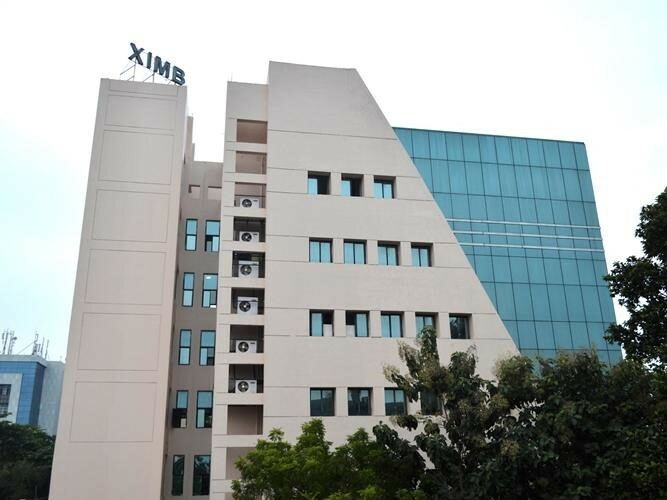 What makes XIMB special is its warm and welcoming culture. Be it suiting up for a business conclave or taking the legendary ‘X-Walks’ around the campus at odd hours, XIMBians do everything with just as much dedication and energy. I, for one, cannot wait to see what the journey ahead holds for me. Which ABG company do you want to work for and why ? I would like to work for Idea Cellular. Idea Cellular is known for its “Do it Yourself” policy, where, very few functions are outsourced as compared to other telecom companies. That enables the organisation to provide its employees with great learning opportunities. Being a fresher, a work environment that focuses on learning and professional development, is something I would love to work for.